This article is only intended for users running the Mozilla Firefox browser on Linux,Mac OS X, macOS Sierra, or Windows operating systems. Firefox’s address bar, also known as the Awesome Bar, allows you to enter the URL of your desired destination page. It functions as a search bar as well, letting you submit keywords to a search engine or website. Your past browsing history, bookmarks and other personal items are also searchable via the Awesome Bar. Another powerful feature of the address bar lies in the ability to navigate the browser’s preferences interface as well as dozens of behind-the-scenes settings by entering predefined syntax. These custom commands, several which are listed below and are usually preceded by ‘about:’, can be utilized to take complete control of your Firefox browser. To access Firefox’s General preferences, enter the following text in the address bar: about:preferences#general. The following settings and features are found within this section. Firefox’s Search preferences are accessible by typing the following text into the address bar: about:preferences#search. The following search-related settings are available on this page. Enter the following text into the address bar to load the Content preferences interface: about:preferences#content. The options below will be displayed. By entering the following syntax in the Awesome Bar, Firefox allows you to specify what actions should be taken each time a certain file type is opened: about:preferences#applications. An example would be associating the Preview in Firefox action with all PDF files. To load Firefox’s Privacy preferences in the active tab, enter the following text in the address bar: about:preferences#privacy. The options listed below are found on this screen. The Security preferences below are accessible via the following address bar command: about:preferences#security. Firefox provides the ability to synchronize your browsing history, bookmarks, saved passwords, installed add-ons, open tabs, and individual preferences across multiple devices and platforms. To access the browser’s sync-related settings, type the following into the address bar: about:preferences#sync. To access Firefox’s Advanced preferences, enter the following in the browser’s address bar: about:preferences#advanced. There are many configurable settings found here, including those shown below. about:addons: Launches Firefox’s Add-On Manager, where you can control all installed extensions, themes and plugins. about:home: Loads the Firefox Start Page in the active tab. about:newtab: Opens Firefox’s New Tab page, containing thumbnail images of your top sites. The about:config interface is very powerful, and some modifications made within it could have serious effects on both your browser and system’s behavior. Proceed with caution. 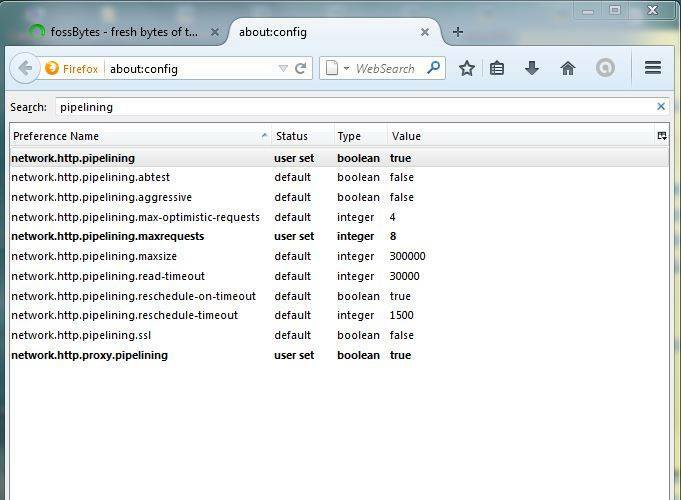 First, open Firefox and type the following text in the browser’s address bar: about:config. Next, hit the Enter key. 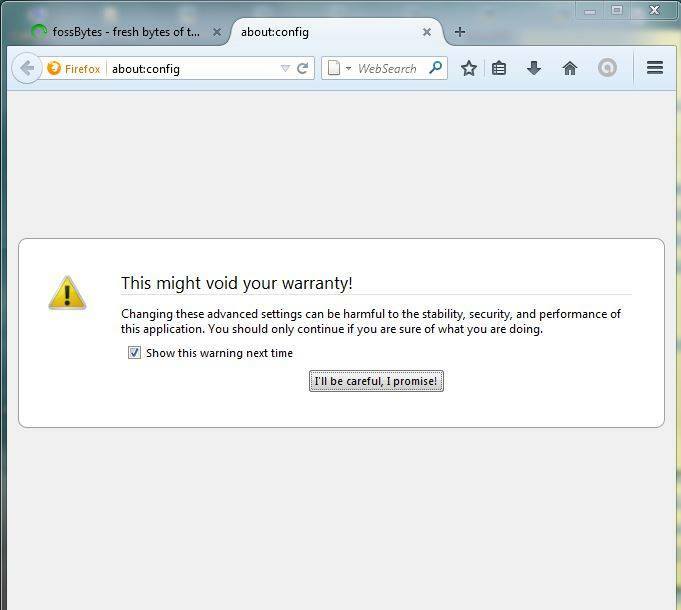 You should now see a warning message, stating that this may void your warranty. If so, click on the button labeled I accept the risk. Below is just a small sampling of the hundreds of preferences found within Firefox’s about:config GUI. app.update.auto: Firefox’s default behavior is to automatically download and install updates to the browser whenever they are available. These updates not only serve to enhance Firefox’s functionality but also to patch vulnerabilities. From a security standpoint alone, it is recommended that you leave the auto-update feature enabled. However, it can be disabled by changing the value of this preference to false. browser.anchor.color: Defines the hex color value of Web page links that have yet to be clicked on. The default color, blue, is represented by #0000EE. This preference, like many others, can be overridden by the site itself. browser.cache.disk.enable: Enabled by default, this preference dictates whether or not Firefox stores cached images, text and other Web page content on your hard drive to speed up page load times on subsequent visits. Double-click on this preference to toggle cache on and off. browser.formfill.enable: The Autofill feature in Firefox can come in very handy when you’re asked to enter the same information over and over again into Web forms, such as your name and address. The browser stores some of this data for the purpose of prepopulating it the next time it is requested. By setting this preference to false, Firefox will no longer save these potentially sensitive items. browser.privatebrowsing.autostart: Firefox provides the ability to enter Private Browsing Mode to ensure that history, cache, cookies and other private data components are not stored on your local hard drive at the end of a browsing session. If you’d like the browser to automatically enter private mode each time the application is launched, set the value of this preference to true. browser.shell.checkDefaultBrowser: Each time Firefox is launched, you may notice that you are asked whether or not you would like to designate it as the default browser (of course, unless, it is already set as the default). If you’d like to disable these notifications from appearing, modify the value of this preference to false. browser.tabs.warnOnClose: If you have multiple tabs open and attempt to close Firefox, a pop-up dialog will appear asking you to confirm that you’d like to close all open tabs. This safety net can come in handy, but can also be an annoyance. To hide this warning and allow Firefox to close all tabs automatically, change this preference’s value to false. extensions.update.interval: As mentioned above, Firefox checks on a regular basis to see if an updated version is available. The same logic applies for browser extensions, assuming that you have not disabled this functionality in the past. This particular preference dictates the amount of time allowed to pass between checking for extension updates, measured in milliseconds. Firefox browser from Mozilla is one of the most popular web browsers available. It has a big user base and market share. Mozilla developers are constantly making important changes to make Mozilla faster. Apart from this, Mozilla is doing some strategic changes as well. On the financial front, it has been testing different default search engines in different regions. In this article, we’ll be telling you about some hidden ways to speed up your Mozilla web browser. People prefer Mozilla Firefox due to many reasons like a good variety of extensions and low RAM consumption while running, that makes it better the Chrome. Mozilla is my personal favorite web browser and I find it simpler and faster than its counterparts. 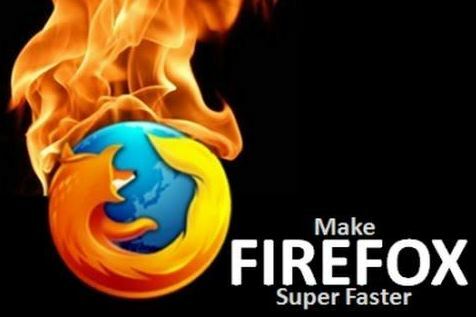 Today, I would like to share some of my tried and tested techniques to speed up the browsing and make Mozilla Firefox faster than ever. Search for “network.http.pipelining”. By default it’s false, now set it to true by double clicking on the option. Now set “network.http.proxy.pipelining” to true by double-clicking it. Set “network.http.pipelining.maxrequests” to 8 (it’s 32 by default) by double-clicking it. This means it will make 8 requests at once. Now restart your Browser and you will be experiencing a faster browsing. I personally don’t like a lot of extensions installed in my Firefox browser because they are also responsible for slowing down the browser, so if you are not using any extension for long, please disable them. But there are some extension which can make your page load faster in Firefox. however what if you added a post title that grabbed people’s attention? I mean Confound.com ~ is a little vanilla. You could peek at Yahoo’s front page and see how they create article headlines to grab viewers to click. my opinion, it would make your blog a little livelier. part 🙂 I take care of such information much. I was looking for this particular info for a very lengthy time. I’m gone to convey my little brother, that he should also pay a visit this webpage on regular basis to get updated from latest news update. actually made my day. You cann’t imagine just how much time I had spent for this information! Thank you! on a blog or I have something to contribute to the discussion. It’s triggered by the sincerness displayed in the article I read. 😉 I actually do have 2 questions for you if it’s okay. Is it simply me or do a few of the responses come across like they are coming from brain dead individuals? Hi there, just was alert to your weblog through Google, and located that it is truly informative. up here Confound.com ~. And I do have some questions for you if it’s allright. of the responses look as if they are written by brain dead folks? 😛 And, if you are writing at other online social sites, I’d like to follow anything fresh you have to post.